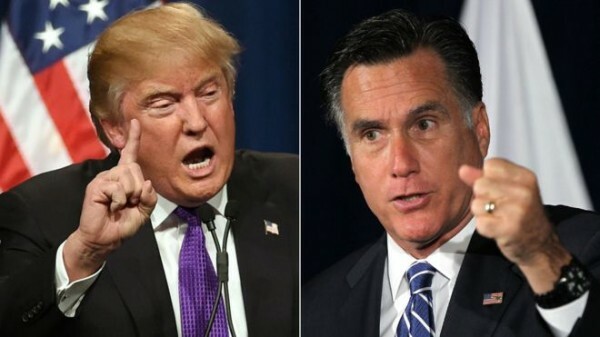 Mitt Romney (R) said during the primaries that Trumpism has become associated with racism, misogyny, bigotry, xenophobia, vulgarity and, most recently, threats and violence. Romney a Republican from Utah and the party’s 2012 nominee for president, will be sworn into the U.S. Senate on Thursday. The Trump presidency made a deep descent in December. The departures of Defense Secretary Jim Mattis and White House Chief of Staff John Kelly, the appointment of senior persons of lesser experience, the abandonment of allies who fight beside us, and the president’s thoughtless claim that America has long been a “sucker” in world affairs all defined his presidency down. It is well known that Donald Trump was not my choice for the Republican presidential nomination. After he became the nominee, I hoped his campaign would refrain from resentment and name-calling. It did not. When he won the election, I hoped he would rise to the occasion. His early appointments of Rex Tillerson, Jeff Sessions, Nikki Haley, Gary Cohn, H.R. McMaster, Kelly and Mattis were encouraging. But, on balance, his conduct over the past two years, particularly his actions this last month, is evidence that the president has not risen to the mantle of the office. It is not that all of the president’s policies have been misguided. He was right to align U.S. corporate taxes with those of global competitors, to strip out excessive regulations, to crack down on China’s unfair trade practices, to reform criminal justice and to appoint conservative judges. These are policies mainstream Republicans have promoted for years. But policies and appointments are only a part of a presidency. The world needs American leadership, and it is in America’s interest to provide it. A world led by authoritarian regimes is a world – and an America – with less prosperity, less freedom, less peace. I look forward to working on these priorities with Senate Majority Leader Mitch McConnell, R-Ky., and other senators. Romney, a Republican from Utah and the party’s 2012 nominee for president, will be sworn into the U.S. Senate on Thursday.